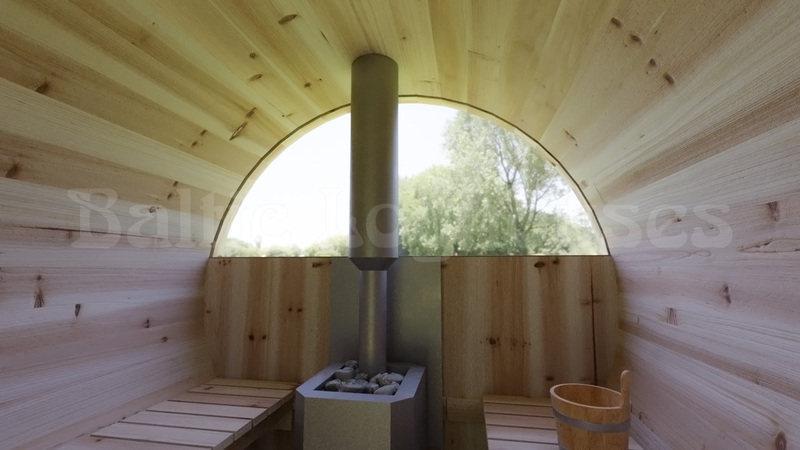 The barrel sauna 240 model is a single room sauna that is suitable for up to four people. A terrace is a cozy place to take a breath of fresh air while sitting on the benches. In addition, you can order half size bronze glass at the end of the steam room, where you can enjoy views of nature directly from the steam room. 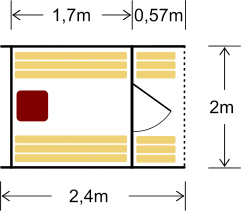 The thickness of the outer walls of the barrel sauna is 44mm and the thickness of the inner walls is 28mm. For roofing material, we use a bitumen shingle. 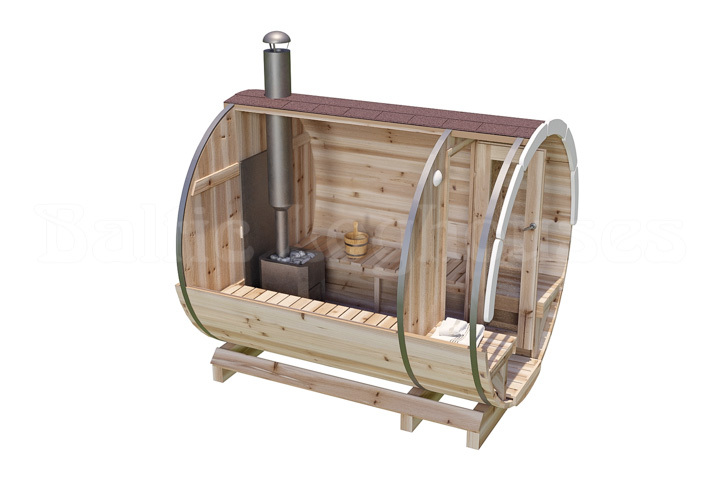 Steam room wooden materials black alder or aspen wood, barrel sauna the kit includes a floor pan and a heat shield for the rear wall of the heater. You can purchase a 25-liter stainless water tank for steam. We use Tikkurila Pinja Wood Stain colors for finishing the barrel sauna. Pinja Wood Stain’s color is a fast-drying, water-based toner stain and protects the surface from moisture, sunlight, and dirt, thereby reducing the cracking of the wood surface. 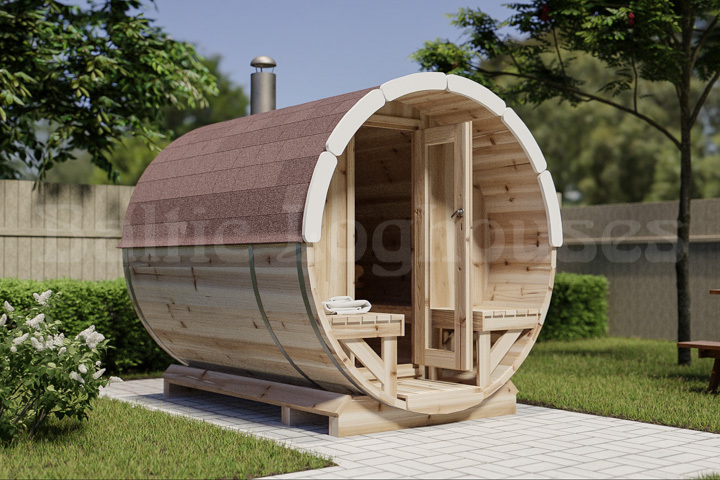 The barrel sauna is quick to move and install on your garden, on the shore of a water body or even downtown. There is no need for a building project to install a sauna.